MAGIC IN A BOTTLE, YOUR LITTLE SECRET, A SHORT CUT TO A GOURMET MEAL IN MINUTES... CALL THEM WHATEVER YOU WANT! 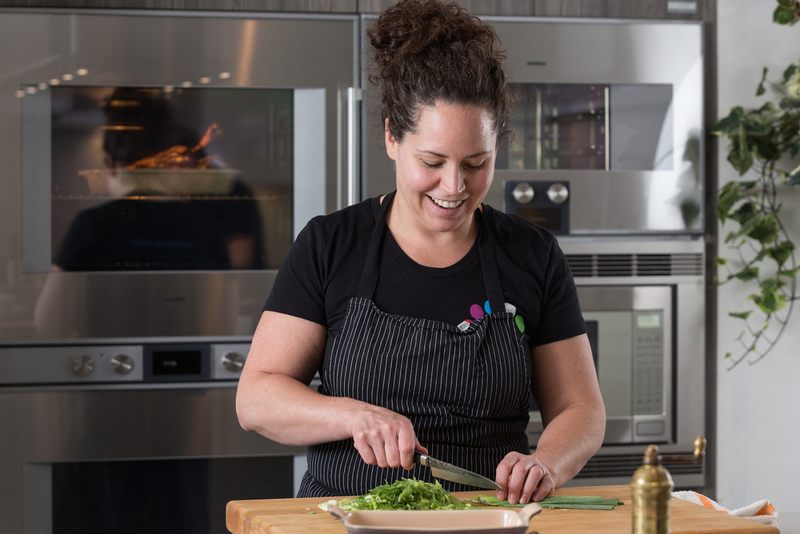 THESE COOKING SAUCES FROM CHEF STEPHANIE IZARD HELP BRING EXOTIC FLAVORS FROM AROUND THE WORLD TO YOUR DINING ROOM TABLE, WITH NO MUSS AND CERTAINLY NO FUSS. 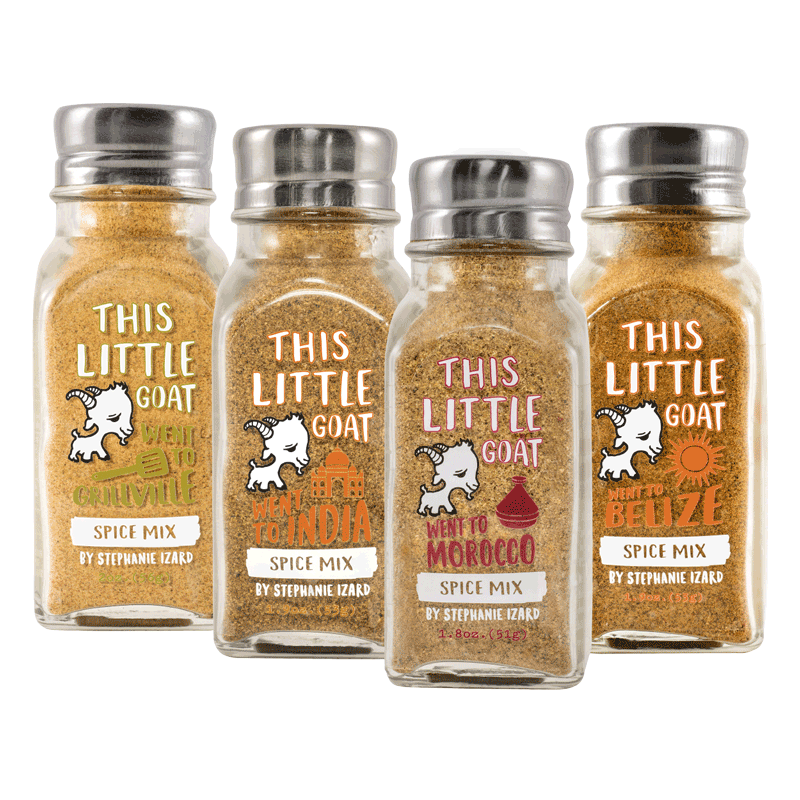 CHEF STEPHANIE IZARD'S CUSTOM SPICE BLENDS TAKE THE FLAVORS OF GIRL & THE GOAT STRAIGHT TO YOUR KITCHEN. THESE EASY-TO-USE SPICE BLENDS ARE YOUR ONE STOP SHOP FOR A QUICK AND EASY MEAL THAT WILL FOOL EVERYONE INTO THINKING YOU SPENT HOURS IN THE KITCHEN! It all started with green beans. When we were developing the menu at Girl & the Goat in 2010 we never imagined that a side of green beans could develop the cult following that they did. After fans, friends, and family all asked for the recipe so they could recreate the dish at home, we decided it was time to start bottling the sauce. We never looked back. We are proud to offer five delicious and globally inspired cooking sauces and spices all created in my kitchens at Girl & the Goat, Little Goat, and Duck Duck Goat. Join This Little Goat on his travels around the world from the comfort of your own kitchen.